A children’s book for the young cowboy and cowgirls. Full of life lessons and all the things that go with working around a ranch, tending horses, the barn, riding, roping, and playing rodeo. Accompanying his mom and dad to Heritage Park in Calgary exposed Poppa Mac to a life as it was in the 1800’s. Poppa Mac fell in love with the Cowboy way of doing things. It is this lifestyle Poppa Mac still embraces today. Ranching with his brother in the foothills of Alberta, only fueled his commitment to all things Cowboy. You can still find Poppa Mac, on horse-back, whether in a pasture working cattle, on a relaxing trail ride or in a rodeo arena delivering God’s Message. Poppa Mac is the founder and past president of The Canadian Rodeo Wranglers Association, and can be found working in rodeo arenas throughout Western Canada. In recent years, he has spent time entertaining rodeo audiences with his antics and stories as Poppa Mac the Rodeo Clown. 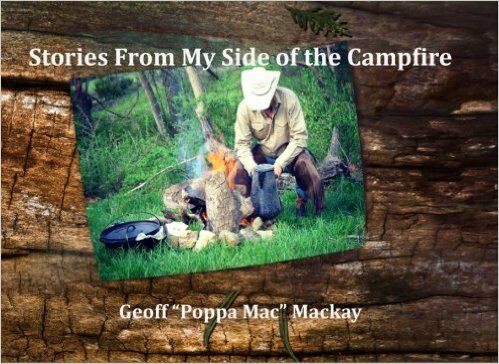 Poppa Mac, entertains audiences at trail rides, rodeos, cowboy churches, concerts and cowboy gatherings all over Western Canada and the United States His writing style reflects his outlook on life which (comes from his unique perspective). Poppa Mac’s poems are written from his experiences and have an honesty that only someone who has lived the cowboy life could capture. 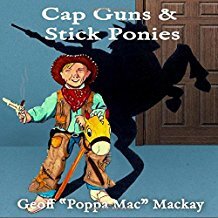 Poppa Mac is a Cowboy Chaplain with the Cowboy Chaplains of America (Cowboys for Christ) a member of the Western Music Association (western wordsmith chapter) and a member of the Alberta Cowboy Poetry Association.